The concept is simple… gather a team and create a film in 48 hours. In Chicago, that period will be July 13-15, 2018. Screenings of the films will occur on July 29th at the historic Music Box Theatre, with awards announced on August 2nd. The 48 Hour Film Project began in 2001 with the first competition in Washington, D.C., and was founded by the current Executive Producers, Mark Ruppert and Liz Langston. It has grown exponentially from there, with Chicago joining the mix in 2005. The competition includes cities from all over the United States and the world, culminating in “Filmapalooza,” where winners from each city will compete against each other. Last year’s Chicago 48HFP winner, “Hammersmith: Hurdle of Dreams” by Kalopsia Films, was awarded a spot at the Short Film Corner at the 2018 Cannes International Film Festival at this year’s Paris Filmapalooza. In the following Podtalk, Producer Jerry Vasilatos of the Chicago 48 Hour Film Project relates the excitement of getting a Chicago 48 Hour film to Cannes for the first time, and why you should participate in the 48 Hour event. 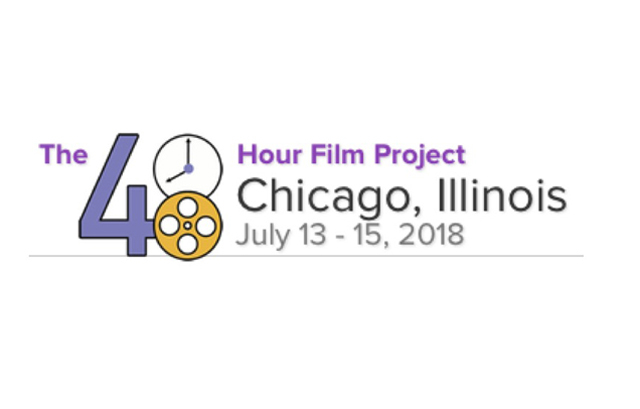 The 2018 Chicago “48 Hour Film Project” team registration begins on Tuesday, May 8th and ends Tuesday, July 3rd. For more information about the overall 48HFP, including competition rules, click here.